Sandhay Painkra of Sidhma village in the Balrampur district of Chhattisgarh was a housewife like all the other women in the village. Most of her time would be spent in household chores and looking after her three children, aged 11, 3 and 2 years. For fulfilling every need she had to be dependent on her husband because she had no income source of her own. But the world changed when she met some women who had come to her village to create awareness about the BIhan. 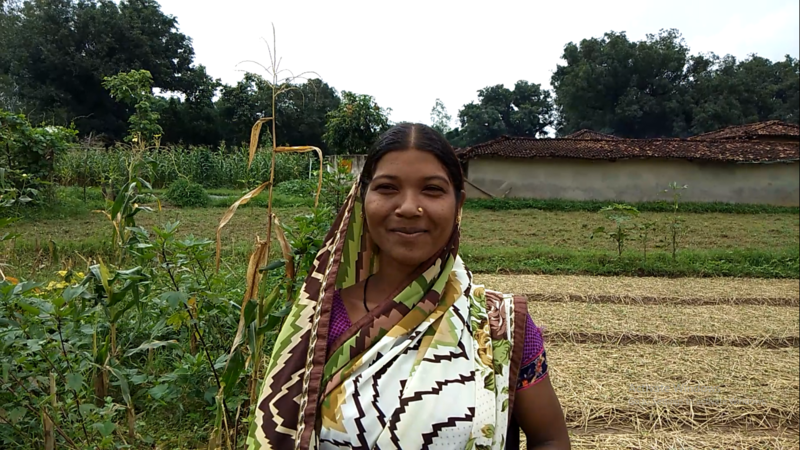 When she learnt that the Chhattisgarh government provides training and financial support to women for taking up livelihood opportunities, she thought of getting involved with it. Initially her family did not support the move. Yet she did not give up. “When I said I want to join Bihan, everyone in the family said, ‘What will you do by joining Bihan?’ But I was determined and I did not listen to anyone. They said they will not support me at any cost but I did not budge. ‘If you want to save money save it in bank instead of with the Self Help Group.’ They would say.” She says. 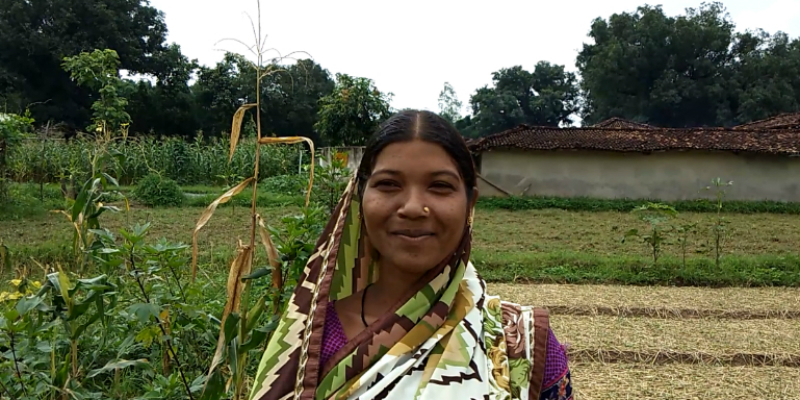 After joining Bihan, Sandhya, along with other women, got training and guidance apart from financial support to start some farming activities. The women then started to cultivate vegetables and other crops. They also became experienced in selling their produce in the market directly without having to depend on the middlemen. Gradually they started making profit and the attitude of her family members has also changed for that. Today Sandhya is not dependent on anyone. Her family has also become supportive of her efforts. “When you have money in hand, your confidence grows. Gradually we started making money. We always had dearth of money but today we are able to meet our expenses. I do not need to ask my husband for money anymore. And this has changed the approach of our family members. They don’t say anything now. Earlier they thought we would not be able to successfully run anything but now they also have confidence onus.” Sandhya says. “I joined Bihan because I was told by the didis (the women who came to create awareness and get them involved with Bihan) to join. We knew nothing about the benefits of forming the Self Help Groups or getting associated with Bihan at that time. Today whatever we have achieved is because of Bihan.” Sandhya says. Sandhya wants to make sure that her children can get proper education. Earlier it was not easy for her to meet the costs of their education. Today, she can think of sending them to good schools.She dreams of a day when they will get good education and will be settled in their lives. For Sandhya, the Self Help Group is like her second family. The women have formed a very strong bond after working together for a long time. These women have all fought against all odds to make their live better and they are proud of it.